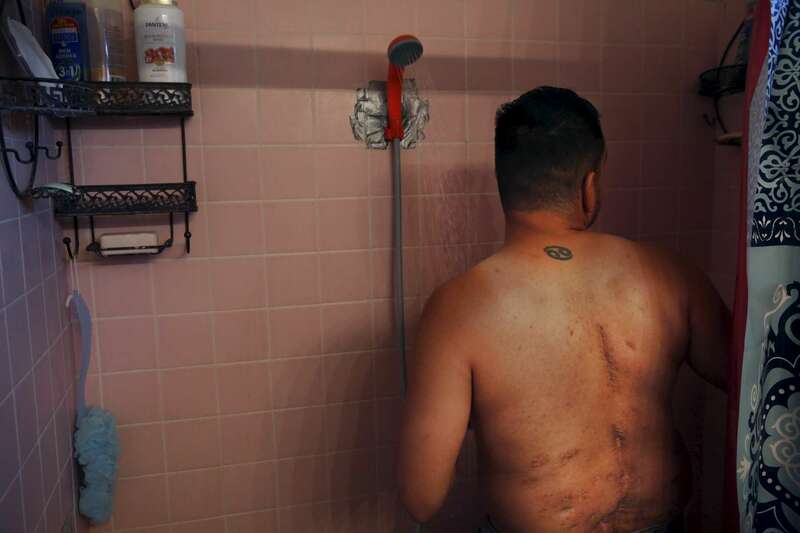 Deep scars from Guillermo's yearslong struggle with Valley Fever can be seen on his back where the disease tried to kill him from inside of his spine as he takes a shower with a temporary, battery powered shower head in his home in Fresno. The poor air quality and increase of dust and air particles has caused an increase in diseases such as Valley Fever. Guillermo purchased the shower head pump to make taking showers with buckets of water easier for him and his mother since their well went dry.